ProCobots streamlines its customers’ manufacturing workflows by minimizing overhead and maximizing effectiveness. ProCobots recognized the need for a streamlined solution to integration of robotics in lean manufacturing. A traditional robot cell performs one specialized function, so factories spend months integrating multiple expensive, monolithic cells to serve an entire production line. ProCobots produces a standardized machine tending cell utilizing an EasyRobotics Pro Feeder and Universal-Robots UR10 collaborative robot. 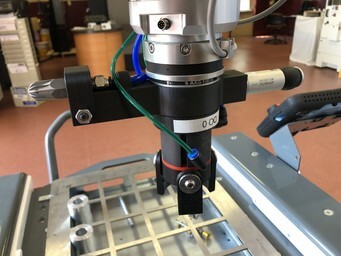 It can be adapted to serve multiple functions by simply swapping out 3D printed end effectors, and reprogramming on a single graphical user interface within minutes.